Aerial Hotshots has been operating since 2006 and has extensive experience in aerial and commercial photography using manned aircraft and has also performed many aerial surveys and fire spotting missions. Aerial Hotshots employs employs experienced ground and aerial photographers and many other experienced personnel. With the arrival of Drone technology, and the advances made with their capabilities, Aerial Hotshots now uses drones for photography and inspections and is a CASA certified remote pilot training organisation linked to our real world experiences. Our Photography Service uses its own aircraft and drones, employs its own pilots (aircraft & drone), and employs experienced aerial and ground photographers. The Drone Inspection Division uses its own precision inspection drone, employs experienced drone pilots and personnel. Our Remote Pilot Training offers two types of RePL training courses; an online theory course with 2.5 days of face to face training and a 4 day full time course. All courses are delivered by our qualified instructors. 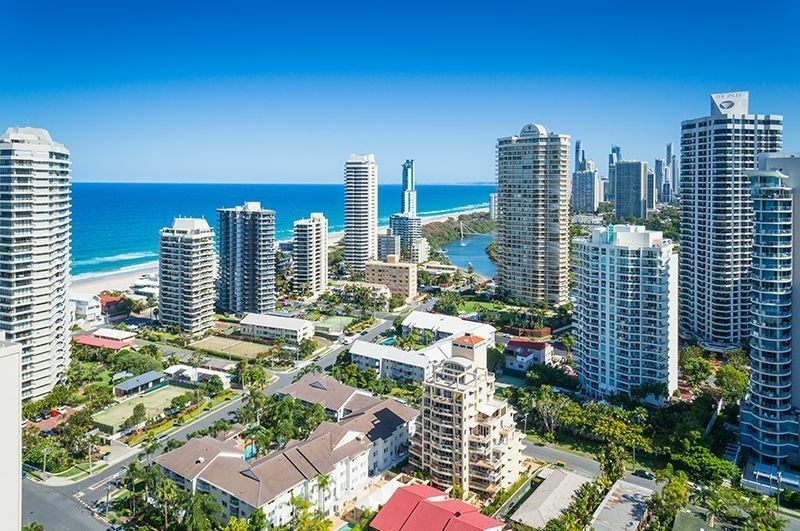 The company primarily services the Gold Coast, Brisbane, Sunshine Coast, Northern NSW and other areas on request. For Aerial Photography we use a Cessna 172 Aircraft. Our aerial photographers are qualified and very experienced in the capture and processing of aerial photography imagery. We often perform aerial photography services for customers that require construction aerial photography, vertical aerial photography and rural aerial photography. Most of our commercial real estate clients order our standard commercial photography service. A large portion of these order our aerial and commercial package which saves them money. Construction companies employ us to capture their construction site progress with our construction photography services. The same can be said for architects who engage us to capture architectural photography. Our photography drones are fitted with quality cameras and produce fantastic imagery. Our photography drones specialise in Real Estate Drone Photography, Construction Drone Photography, Development Drone Photography, 360 view Drone Photography, Perspective View Drone Photography, and for basic drone roof inspections. Elevated Photography is also known as Pole Photography or Mast Photography. Many clients see the benefits from standard mast elevated photography over ground based photography. We can perform perspective views via the Elevated Mast photography service which helps market that property. The same can be said for the 360 views elevated mast photography service. Our Photography mast been launched on many construction sites to capture construction elevated mast photography in consultation with the architect who has special architectural elevated photography requirements. We offer a variety of video packages that includes video only, video and ground photography and video packages to service the needs of our clients. We have a stock aerial photography image library that contain aerial photography images for sale. The Inspection & Survey Division uses its own precision Inspection Drone to perform infrastructure inspections. The end product for the client includes detailed Video with high zoom in on selected locations of an asset, highly detailed georeferenced imagery, orthophoto Mosaic of entire asset, 3D model generation of the asset for identification of inconsistencies on surfaces, infrared Imagery showing hot/cool spots which can be stitched into an entire orthophoto mosaic. The division employs experience drone pilots and personnel that understand the importance of accurate spatial information. We offer two types of remote pilot licence training courses to meet the needs of our students . The first is designed for the busy person which delivers the theory via our online learning modules and then the student attends 2.5 days of face to face training. The second option is a 4 day full time course. Brisbane RePL, Gold Coast RePL, RePL Brisbane, RePL Gold Coast. Aerial Hotshots is a authorised reseller and distributor for Event38. Event38 designs and manufactures drones (RPA/UAVS), specialised optical sensors, and a Drone Data Management System for Construction, Environmental Conservation, Mining, Surveying and Precision Agriculture. Aerial Hotshots is a authorised re-seller and distributor for Klau Geomatics PPK system. This is a Direct Geo-referencing System (DGS) is a turnkey solution for all drones and sensors to achieve high accuracy mapping. It is a synergy of hardware, software and methodology to add unprecedented accuracy and efficiency to your RPA and manned aerial mapping operations. The system reduces the need for ground control points (GCP) which saves time and money while increasing accuracy and reliability. Your RPA will operate as it does now with the additional benefit of high accuracy data acquisition. Licensed and Insured We are fully licensed and insured. We operate under our own Air Operators Certificate (AOC) and Remote Operators Certificate (ReOC) issued by CASA. We have our own Chief Pilot, Chief UAV Controller, Aerial & Ground Public liability insurance (20 million cover) and work cover. Do not leave yourself open to civil litigation by commissioning an unlicensed or uninsured operator!! !